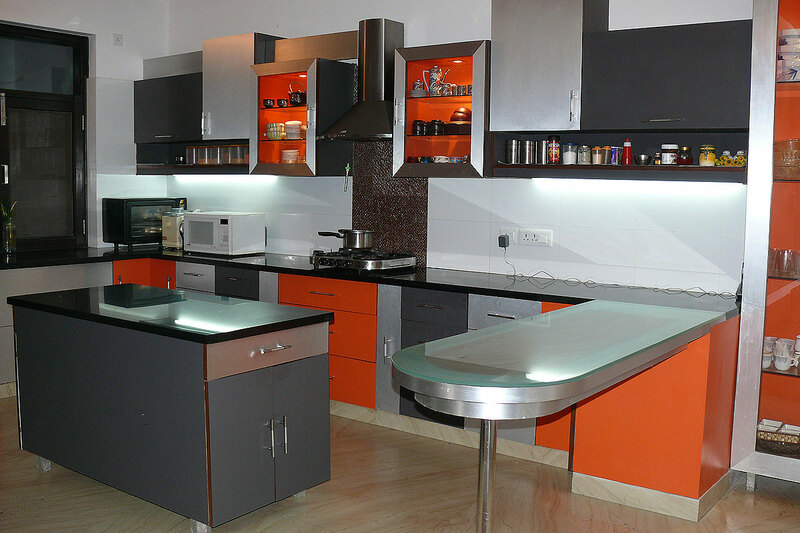 Kitchens nowadays have become an integral part of the modern home, from being just a cook-room to a gathering place. With smaller homes, the concept of open kitchens is also on the rise as is having an eat-in kitchen with a breakfast counter. It is therefore important to ensure that a kitchen is classy, clutter-free and contemporary. A modular kitchen has all these attributes- under and over head cabinets, granite or ‘Corian’ countertops, built-in spaces for state-of-the-art appliances, chimney and hob. One needs to maximize storage & “open-up” even a small kitchen to make it functional and convenient. The finishes also vary; from the traditional wooden laminates to high gloss shutters in fresh bold colours to a more expensive lacquered glass. Since there are so many options in terms of design and budget, consulting an architect or designer before starting a new kitchen or remodeling is advisable to get the best out of your space, requirement and budget.